Ok, so finances as they are in the BeBe household I very rarely get to make purchases for myself nowadays most of our money goes on just living and any extra on Baby BeBe, which I guess makes me a crappy blogger as I rely on my existing wardrobe and those items that I am massively lucky to have sent to me..... SO you can imagine my excitement when I had a little spare bit of cash and managed to treat myself to a piece of clothing I was really excited about! So it was with great apprehension I made an order with ASOS, but for this particular item I was willing to take the risk. The item in question popped up on my Facebook feed, then a few of the blogging babes started talking about it too, I really had to have it. I'm a complete sucker for a conversational print, and one with woodland animals? Hell I'm on board! Now to the technical stuff, the top itself is a thinnish jersey, with plenty of stretch in it. I ordered my usual 22, but in all honesty I could have easily sized down to a 20. The print is indeed adorable and as for the peplum style, well I do actually really like, I might invest in a few more but don't worry the blog won't be overrun with peplums, I promise!! How have you found ASOS sizing, do you share my frustration or has it been ok for you? OMG I love that top! How did I miss that one? 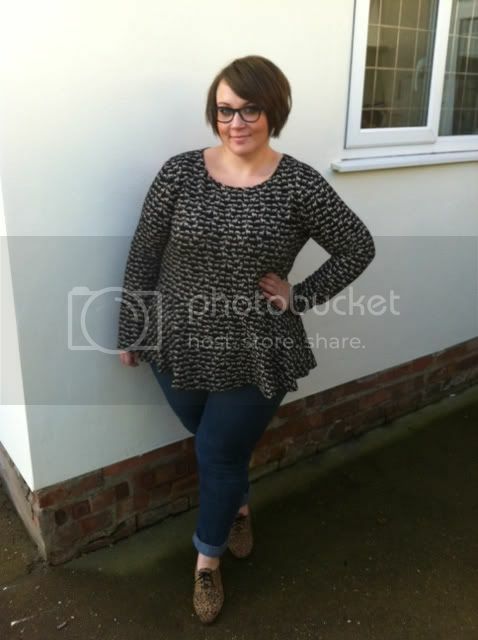 I do love ASOS Curve but I agree the sizing can be unpredictable. I can usually solve most issues with a belt, but have had to shorten a few dresses which have been ridiculously long. It would even be great if they started a little smaller so I could size down when they come up too large. Let's hope it's sorted out! 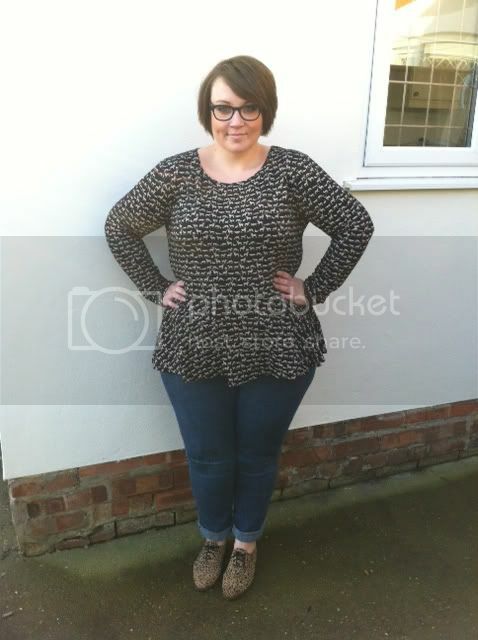 I havent bought anything from ASOS curve, although I do like the look of some of their clothes. I couldnt really see the pattern on your pics, so I went onto their site to the zoom function and this is SO cute. I really dont like birds so bird obsessed print frenzy of recent years has left me cold, its lovely to see the woodland trend taking over. Love that top, the print is gorgeous and it looks great on you. I'm def gonna have a look on the ASOS site but like others, I'm a bit nervous of the sizing! Woodland animals really do it for me! This print is awesome. I absolutely love this top! But I find ASOS sizing annoyingly inconsistent, too.